How Many Times Do I Have to Jump Rope to Lose Weight? Jumping rope often carries connotations of kids playing double Dutch at recess or chanting rhymes as they hop on the playground. You might not think of it as an effective weight-loss exercise, but in fact, it burns such a high number of calories that it can be more useful than traditional cardio alternatives like low-impact aerobics, hiking or slow jogging. Jumping rope is an exercise that combines the benefits of aerobics and strength training. In addition to raising the heart rate, keeping it elevated for the duration of the activity and burning hundreds of calories per hour, jumping rope tones your calves and upper legs. Another benefit of jumping rope as a weight-loss strategy is its versatility and convenience. You can jump at home, at the gym or even in your office.You can even do the exercise without a rope. Just move your arms as if you’re twirling one with each hop. According to Harvard Health publications, an hour of jumping rope burns about 600 calories for a 125-pound person, 744 calories for a 155-pound person and 888 calories for a 185-pound person. Since it can be taxing on your calves to jump for that amount of time, you may want to structure your weight-loss workout as an interval training session that alternates periods of jumping rope with jogging, step aerobics or strength training. The number of times you have to jump rope to lose weight depends on how many calories you eat and burn throughout the day. If you consistently burn more calories than you eat, you’ll lose weight over time. If you weigh about 160 pounds and your current calorie burn is about equal to the number of calories you eat every day, jumping rope three hours a week will help you drop just over a half-pound, or close to 2 1/2 pounds a month. If you weigh 200 pounds, you can lose more than 3 pounds a month. Jumping rope is a vigorous, demanding exercise that isn’t suitable for everyone. If you’re obese, have not been active for a long time or struggle with a chronic health condition or injury, get your doctor’s approval before you start jumping rope for weight loss. Remember that a complete workout plan involves more than just one type of activity. According to the American Council on Exercise, the best weight-loss routines balance strength training, flexibility and aerobics in a comprehensive plan. 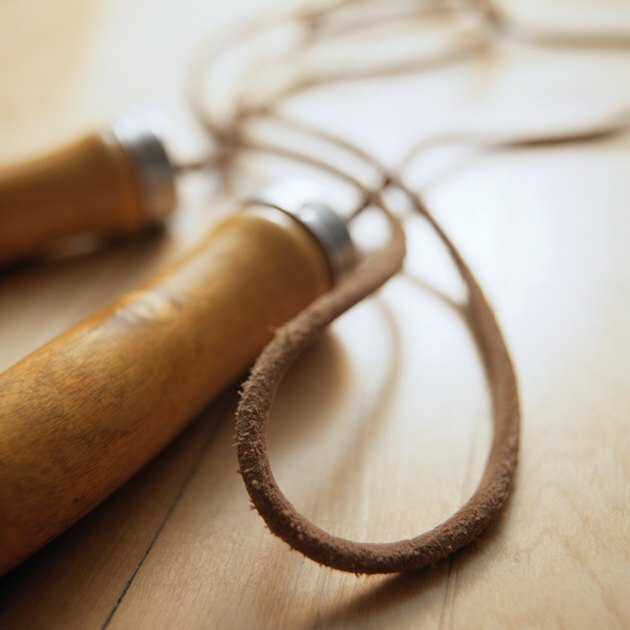 Does Jumping Rope for 1 Hour Help You Lose Weight?